I outlined and photographed a chapter on the Civil War, but deleted it from the plan for the final book. The book was just too big and expensive, and something had to go. 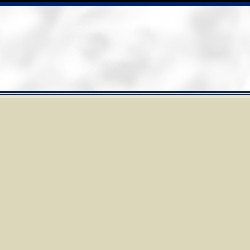 So the Civil War photos have never been seen. Here is one: Booker T. Washington at the Tuskegee Institute, posing for a stereoscopic photograph. I really hated to lose this chapter and the story of Booker T. Washington, because I was planning to tie it into the World War II chapter and tell the story of the Tuskegee Airmen more fully. I ended up including the story of America's first Black Military Pilots and Aces in the notes to the WWII chapter, but my Tuskegee heroes really deserved more than that. 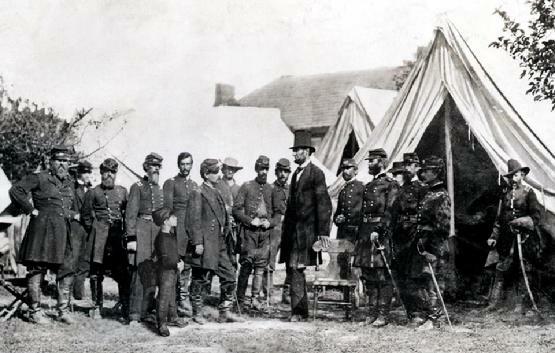 This photo of President Abraham Lincoln visiting the Union Army Headquarters in Antietam (October 3, 1862), is the only Civil War photograph to make it into the final book. The photo is on the back cover of the book, and referenced in the book's introduction - but the Civil War story is never told. 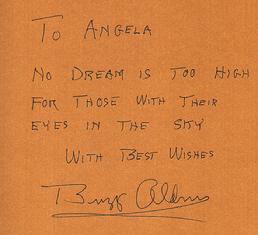 People often write to me and ask why the photo is on the back cover. Now you know. (1) The only known photograph of Abraham Lincoln delivering the Gettysburg Address. The photo has an interesting and little known story behind it. The photo lay unidentified in the National Archives until 1952, when Josephine Cobb, Chief of the Still Pictures Branch, recognized Lincoln in the center of the obscure photo, head bared and probably seated. Cobb estimated that the photograph was taken about noon, just after Lincoln arrived at the site and about three hours before he gave his address. (2) The story of the first African American soldiers who fought in the Civil War. Many people have seen the 1989 film, GLORY, and I do recommend and list the movie in the book - but not many people know the story of Sargeant William Harvey Carvey and Sargeant Major Christian Fleetwood, African-American Civil War soldiers who received the Medal of Honor for their valor and achievements during the war. Anthony was honored to meet them. (3) I had planned to have Anthony meet Harriet Tubman and travel the Underground Railroad, bringing slaves to freedom. The photos were some of my favorites, too. I outlined and photographed some chapters for a sequel book in which Anthony's sister, Angela, would step through the Picture Frame and meet female heroes from America's past. I never did finish that book, so these photographs have never been seen. Here is one: Anthony is in 1912 with Juliette Gordon Low, the founder of the Girl Scouts of America. 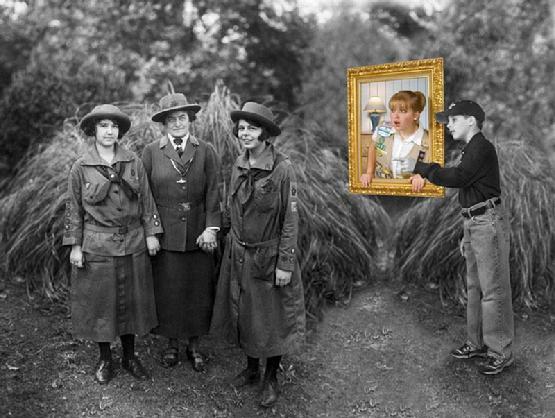 Angela, a Girl Scout herself in modern times, is in Anthony's bedroom, looking into the past and about to step through the Picture Frame and into 1912 to meet Juliette Gordon Low. 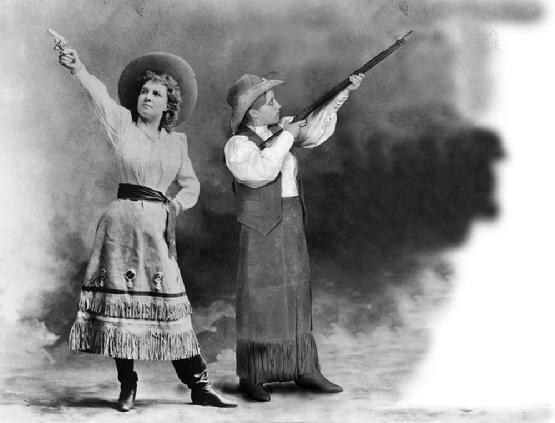 Here is an unfinished photo of Angela with Annie Oakley, the American sharpshooter and star of Buffalo Bill's Wild West Show. She is considered by many to be America's first female superstar. I also wanted to include this chapter because it "closed a loop" with Anthony's previous story of meeting Thomas Edison. 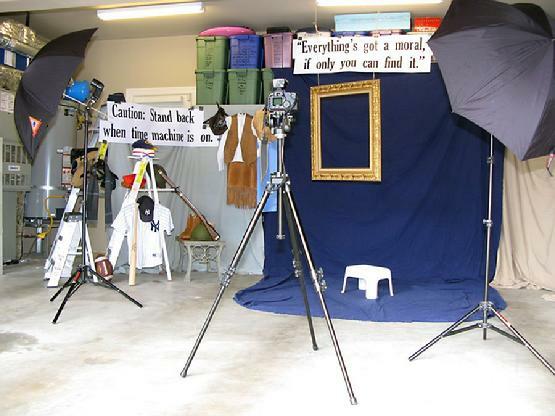 Edison filmed Annie Oakley with his new invention - the motion picture camera - and in his motion picture studio. Anthony saw that, so the plan was to have the two time travelers, Anthony and Angela meet at that intersection in time. It would have been interesting because the "original" Anthony would not expect to see his sister and would wonder how she traveled back in time, but Angela would tell him that it was Anthony himself who sent her back after he returned from his trip. I outlined and photographed a chapter about the invention of the artificial heart, but deleted it from the plan for the final book. The book was just too big and expensive, and something had to go. 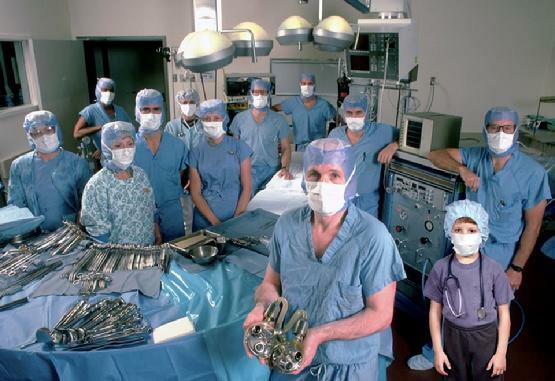 So the artificial heart photos have never been seen. Here is one: Dr. William DeVries with the Jarvik 7. I really hated to lose this chapter because it had so many interesting twists and turns and intriguing people. It is a story most people don't know. There were famous pioneering surgeons like Dr. William DeVries, Dr. Michael DeBakey, and Dr. Robert Jarvik - but there was also the story of American ventriloquist Paul Winchell who invented and patented an artificial heart with the assistance of Dr. Henry Heimlich, the inventor of the Heimlich Maneuver. There were also the touching stories of the first people to undergo the implantation of the devices. I had planned to include a short chapter revealing how the book was researched, written, and photographed. It's a shame I had to delete it, because when I am invited to classrooms to talk about the book, I am always asked to talk about the process. Students and teachers alike really find this aspect of the book fascinating. 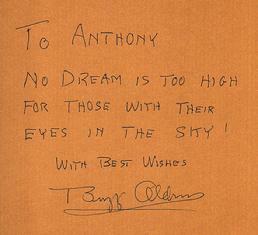 There are also some "back stories" that I will never forget: talking with World War II concentration camp survivor Alan Zimm was a particularly moving and unforgettable experience; Astronaut Buzz Aldrin's reaction to the book and his signature in my personal copies (see below); uncovering the true story of how my own family came to America through Ellis Island; the helpfulness of Dr. Jonas Salk's son and his approval of the photograph of his father; and so many more. 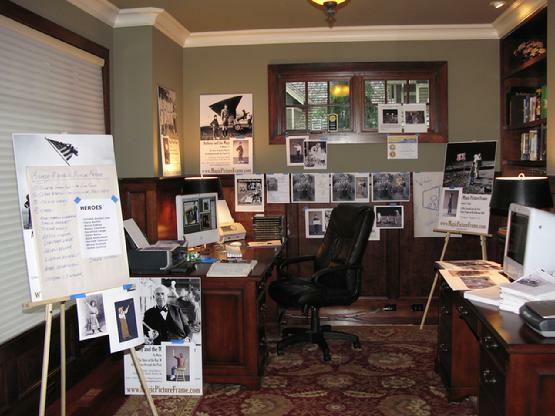 This (see below) is where the book was photographed. Yes, it's just a garage, but we tested Einstein's Theory of Relativity there.